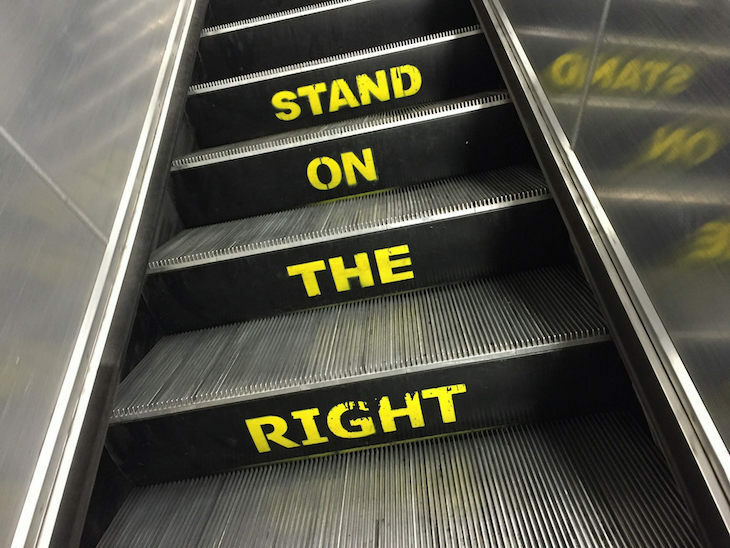 There was outrage in 2016 when passengers were asked to stand — not walk — on the upwards escalators at Holborn. TfL's six month trial, opposed by two thirds of passengers, investigated whether having everyone standing still would increase capacity and reduce delays. The standing-only escalators were able to carry an average of 151 passengers per minute, compared to 115 on the 'normal' escalator, where people were both walking and standing. So, the theory was correct — having people stand on both sides of the escalator does increase capacity. BUT. This only works on some escalators, depending on the height of the escalator. 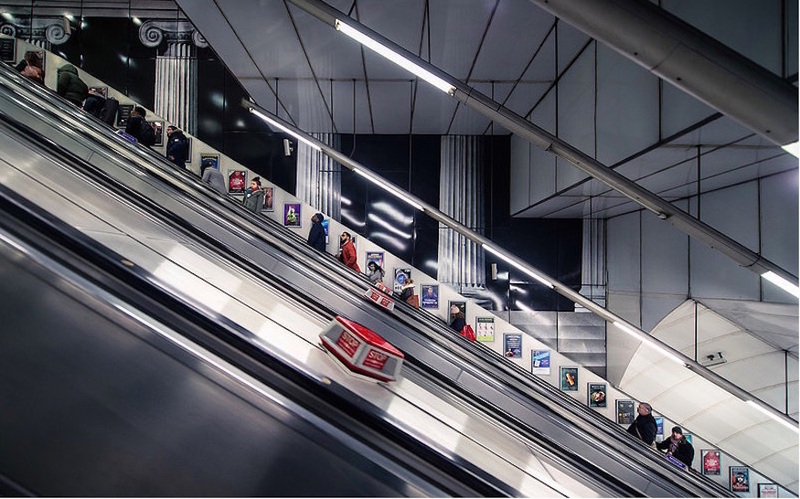 A study carried out at Canary Wharf in 2015 showed that forcing everyone to stand here would actually REDUCE escalator capacity by 10% — the reason being that these escalators are significantly shorter than those at Holborn, so more people are likely to choose to walk up them. Therefore, it's complicated. And it's not yet known whether TfL will roll out standing-only escalators in other stations based on these results.